Have you ever captured a video with your smartphone and only to find that you cannot view it properly? In such cases, you may need to rotate your video and save it permanently, so that you can enjoy it forever. With a great video rotating tool, you can rotate your video on your computer easily and quickly. In this article, we will show you how to rotate a video online and offline. Here we go. 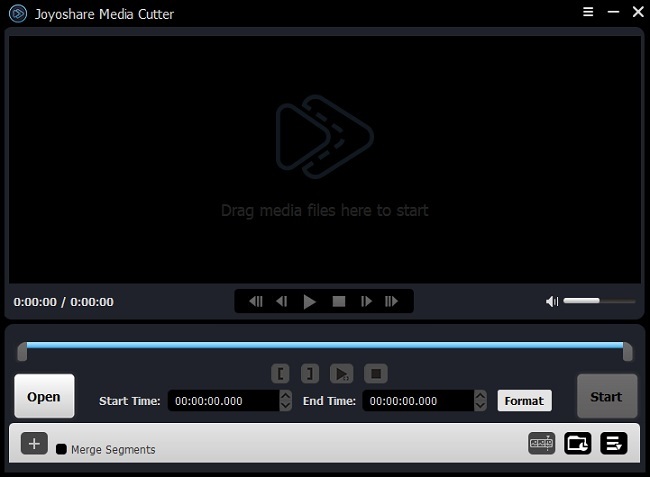 Joyoshare Media Cutter for Windows (or Joyoshare Media Cutter for Mac) is not only a video cutter, but also a video rotator. With this desktop software, you can easily rotate a video and save it forever with high quality. The program enables you to rotate a video by 90 degree left or right, flip it horizontally or vertically, etc. 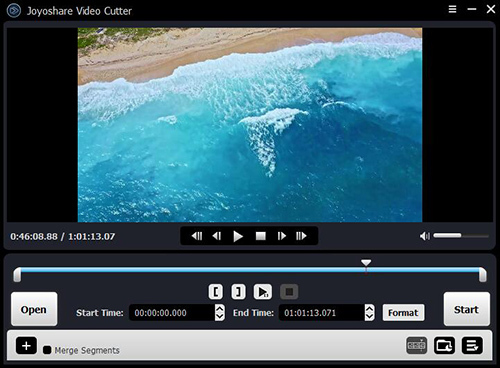 Besides rotating your video, Joyoshare Media Cutter also provides more powerful video editing tools to make your video stunning. 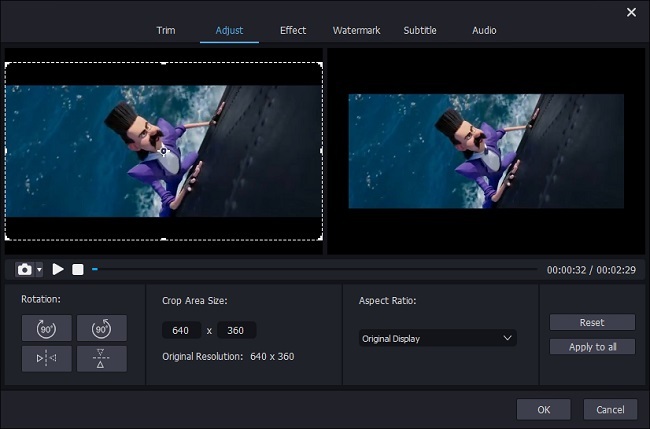 For example, you can do the basic editing like trimming, cutting and cropping; apply sound effects to video clips; add watermarks, texts and subtitles to the video and many more. In addition, after finishing editing your video, you can export and save the video in many different formats or devices as you like, such as M4V, MP4, WMV, MKV, AVI, XviD, DV, MPEG, VOB, 3GP and Apple iPhone, Android generic, smart TVs, game controls, etc. 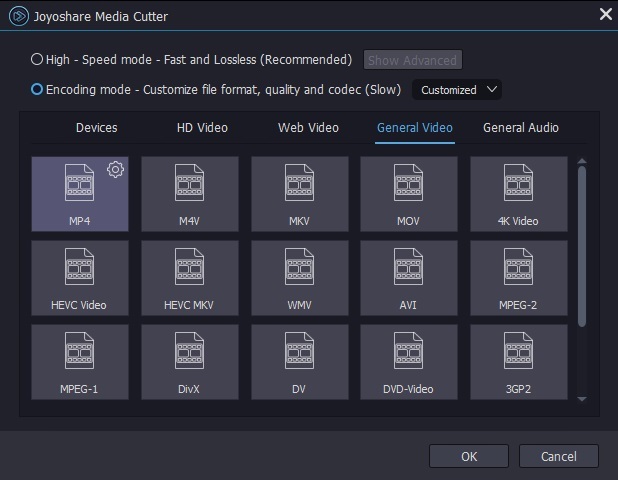 Now, we'll give you a complete guide on how to rotate a video and save it using Joyoshare Media Cutter. First of all, download and install Joyoshare Media Cutter on your computer, and then launch it. 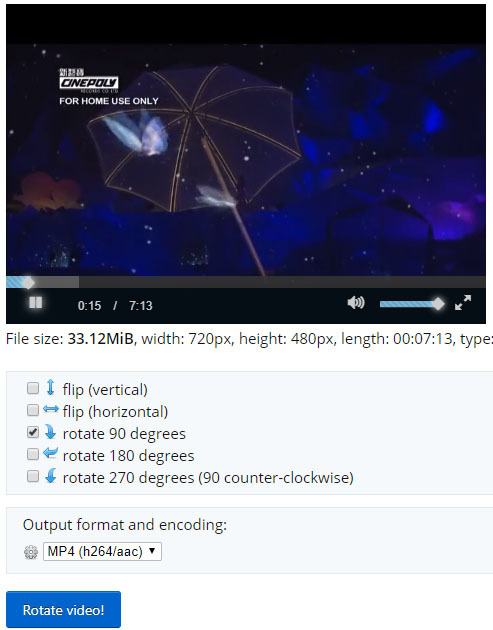 Once you see the main interface, click the "Open" button to import the video you want to rotate, or simply drag and drop the video file to Joyoshare. Then click the edit icon on the right of your video clip and an edit window will pop up (If you can't see the edit icon, hit the "Show segment list" icon ). Press the "Adjust" tab on the menu and choose the right rotation degree as you like. You're entitled to rotate the video by 90 degree in clockwise or counter clockwise; or flip the video clip horizontally or vertically according to your needs. After adjusting your video, you need to choose the output mode. There are two output modes, namely, "High-speed mode" and "Encoding mode". The former allows you to cut video fast and losslessly; and the latter gives you a chance to change file format, quality and codecs, etc. Here we should choose the second output mode. Then click the "Start" button to begin to convert the video file. After a minute, you can get your rotated video on the destination folder . Alternatively, you can rotate a video with a web-based video rotating tool such as Ezgif.com. It is one of the easiest solutions for any video rotating, with no installation and registration required. Next we will tell you how to rotate a video with a few clicks only. Open your browser and go to Ezgif.com website. Click the "Video to GIF" option on the top menu and hit the "Rotate video" tab. Now upload your movie from your computer's local folder or directly paste video URL address in the search box. The video rotator supports many video file formats such as MP4, AVI, MPEG, WebM, FLV, 3GP and many more. Make sure your video file size is less than 120MB. After your video is uploaded, the basic information will be fully presented under the video file. You're allowed to flip the video vertically or horizontally, or rotate it 90 degrees, 180 degrees and 270 degrees. Then choose one type of rotation based on your requirements. Additionally, you can also select the output format and encoding either in original copy or MP4 (H264/AAC). Then click the "Rotate video" button. Wait for a few minutes until it's done. The larger the size is, the longer time it will take. Now click the download icon at the lower right corner of the video and it'll be saved on your computer. Rotating a video on the internet is simple and easy, but it takes a long time to upload the video and rotate the video, especially when you have a very large size of video (pay attention that some online video rotator may have limitation for the file size). Besides, the quality of video will be damaged to some extent. For that reason, we suggest you to rotate a video and save it with a professional desktop video rotator like Joyoshare Media Cutter. Rotate Videos in VLC? Solved!